Now and then we have contests in the Mobius PVE group. Most of these revolve around cartography data, finding griefers and even art contests. This recent one was for who posted the most amount of genuine content, which would result in being in the top ten contributors in the Facebook group. The ten lucky boffins got picked, but I got special mention for the comics of the group! 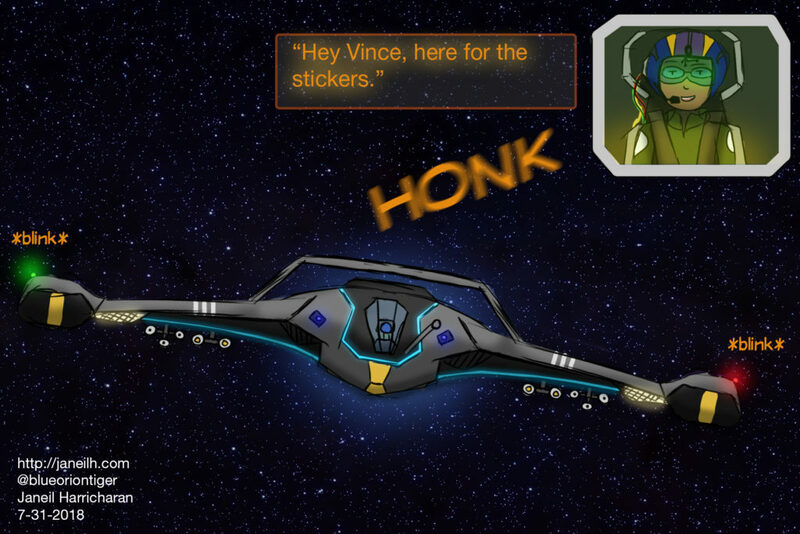 So when filling out the form to get my sticker packs, I had to upload “photo proof” of why I qualified for stickers. I got snarky instead, composing this instead of a screenshot. I love Elite: Dangerous, I really do. But it’s a shame the only “fighter-like” ship is an Eagle or the things you launch. Even then, it wasn’t to my liking. So I doctored mine a bit. External missile points, a WW2 paint scheme and even a refueling probe on the nose. Let’s hope the stickers get here soon.